The rest of the school year went surprisingly fast. They all graduated and Harry and Ron became aurors. Ginny still didn&apos;t talk to Blaise&apos;s mother, not that she wanted to talk to her either. Hermione cried when she left Hogwarts behind her. ( A/N god I would too) she hugged McGonagoll. If she didn&apos;t see wrong, she saw a small tear on McGonagoll&apos;s cheek when she said goodbye to her.
" I can&apos;t believe this is the last time we set our foot here" Ginny said. " 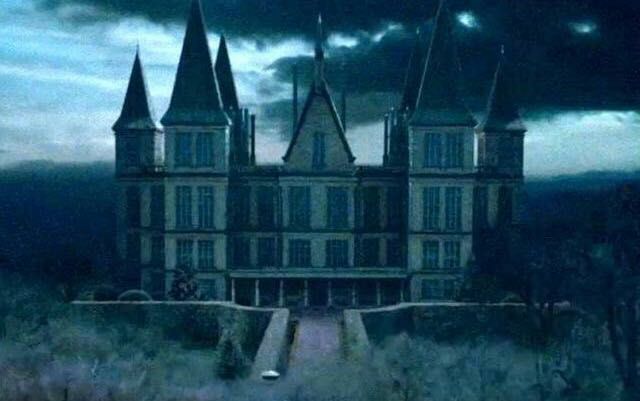 Unless we don&apos;t be teachers here"
" I heard that Neville was thinking about that. Herbology" Hermione said. Afterward Draco had a graduation party at his place. He invited Blaise, Theodore Nott, Hermione, Ginny, Astoria, Daphne Greengrass, Pansy, Luna, Neville and surprisingly, Ron and Harry too. Even if they didn&apos;t gratuated, he still wanted to make it up for them after they saved his life like two times in the war. 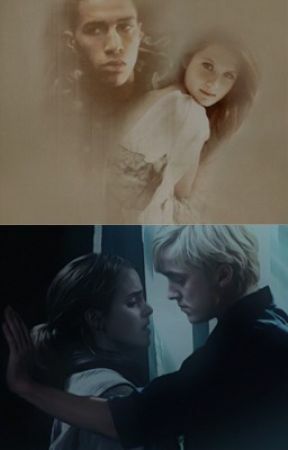 He was afraid that things would get ugly when he put Hermione and Pansy and Harry and Blaise in the same room, but it didn&apos;t get that ugly at all. He guessed that Pansy finally had learned from her own mistakes and apologized to Hermione. Harry told Blaise it was cool that he and Ginny was together, but if he ever hurted her, he would hunt him down and....yeah do ugly things. Ron told Draco the same. The party was going better and better, Draco didn&apos;t see his parents so much, but when he did, they stood together and talked. Sometimes Lucius even had his arm around Narcissa&apos;s shoulders. Later that evening, when everyone was feeling a bit dizzy and fuzzy, Ron walked up to Draco and hanged on his shoulder. " You okay Weas....Ron? "&apos; Draco asked.
" I&apos;m great. By the way, is that Pansy Parkinson? I don&apos;t recognize that girl in the couch" Draco looked over at the raven haired girl who was talking to Hermione in the couch.
" Yeah it is. Why? Think she&apos;s hot?" Ron&apos;s ears turned red. " What? No! I mean...she&apos;s not so bad looking these days " Draco just chuckled. " Then go and talk to her!" He pushed him over to the couch and Draco signalized to Hermione that she would move away.
" Weasley?" Pansy said startled.
" Do you...um...wanna sit down?" Hermione hurried over to Draco so they could leave the nervous teenagers to their wierd moment. Blaise took something more to drink and a snack when Harry walked over to him. " What&apos;s up Blaise?" " Not much. Enjoying the party. You?" " Well I was wondering who is the girl Ginny is talking to?" Blaise looked over to the other side of the room and found Ginny. He smirked.
" That, my friend, is Astoria Greengrass. She&apos;s a nice friend of Draco and sister to Daphne Greengrass. Why?" " Just curious" Harry mumbled and turned red on his cheeks. " Wanna talk to her? I need to talk with Ginny anyway so you don&apos;t have much of a choice" He dragged over Harry to the other side of the room and threw him over to Astoria&apos;s side.
" Astoria, this is Harry Potter, as you already know, but still. Harry, this is Astoria Greengrass"
" Hi..." Harry said nervously. " Hi, nice to meet you" Astoria smiled and shook his hand. Blaise dragged Ginny with him so they could be alone.
" What did just happen there?" Ginny whispered. " Your ex decided to get over you I guess"
" Fantastic" Blaise said and kissed her smoothly on the lips. Draco and Hermione was outside on the balcony and talked about what they should do after Hogwarts now. " Hey Hermione, can I ask you something?" " You just did!" Hermione laughed. " But yeah, ask away"
" Would you mind if we....No forget it"
" Draco if you&apos;re not going to tell me, I&apos;ll send Ron on you and he will torture you until you say it"
Draco chuckled. " You won&apos;t do that"
Hermione gave him a look that told him not to underestiminate her.
" Okay I&apos;ll tell you"
" We&apos;re been seeing each other now for a while now, and we&apos;ve finished school. And..."
" Would you like to move in with me?" " Yes? I mean you don&apos;t have to..."
" Draco you can move in with me in the muggleworld"
" I would love to"